We’ve covered what you’ll be doing when you visit Pigeon Forge with preschoolers, but what about where to stay in Pigeon Forge? Pigeon Forge Cabin rentals are popular and have been our accommodations by default in the past due to massive family reunion trips. This is the first time we’ve stayed at an actual Pigeon Forge hotel instead of a vacation rental and I have to say I’m a fan! Since each different trip, destination, and family are unique, check out my Vacation Rentals vs. Hotels post to help with your decision. 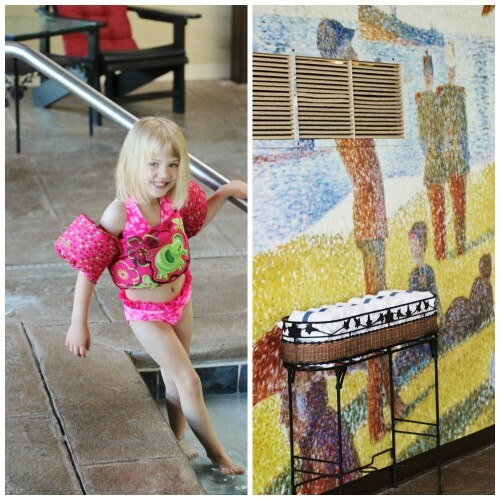 Read on to find out why I’m a fan of staying in a Pigeon Forge Hotel when visiting with small kids. 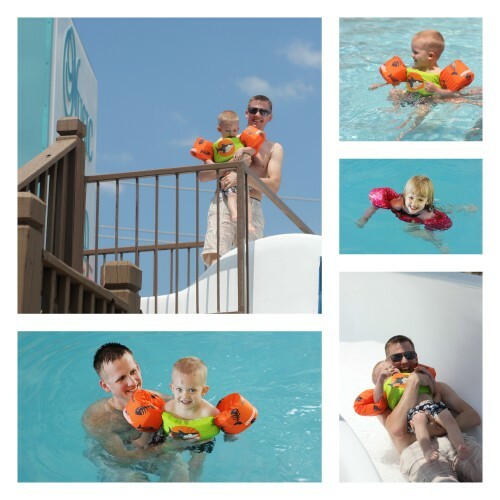 We spent our Pigeon Forge vacation at Music Road Resort (the hotel side) and here are a few of the reasons I recommend it to families with small children. 1. Proximity to The Parkway – Music Road Resort is just off the Parkway on a side road. You’re literally within walking distance of the strip where all those Pigeon Forge attractions are, yet insulated by enough space that the traffic and nightlife noise isn’t bothersome. Pigeon Forge Cabin rentals tend to require a trip up into the mountains from Pigeon Forge Parkway and due to traffic and winding roads. Making quick trips from your accommodations to the attractions and back isn’t usually feasible. With two small children in tow we appreciated the convenience of Music Road Resort. And we didn’t even have to sacrifice the view! 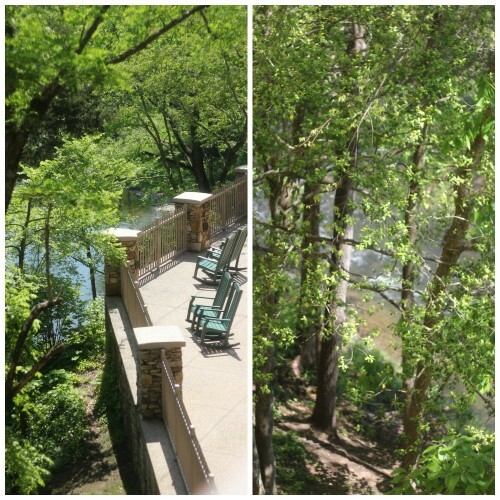 Hard to believe you are so close to the Parkway with a river view like this. 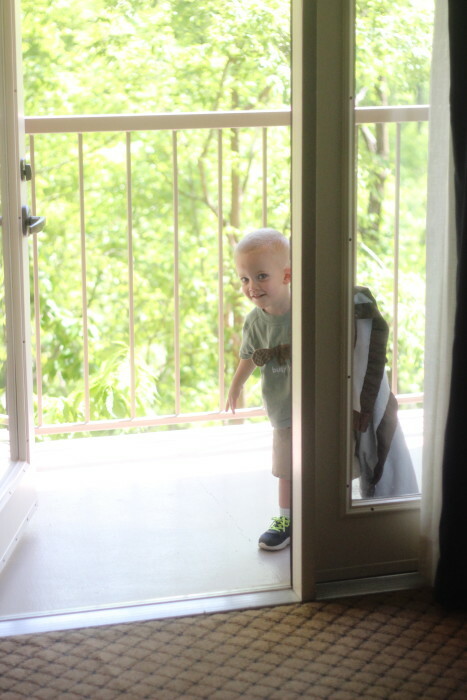 The kids both loved the balcony too. 2. Water Parks – If you ask Sweet T what her favorite Pigeon Forge attraction was, she’ll tell you it was The Track. If you ask her what her favorite part of the whole trip was, she’ll tell you, “swimming at the hotel!” with no hesitation. Both Music Road Hotel and Music Road Inn each have their own pool areas that are really more like small water parks. The large outdoor pool has a slide, diving board and water feature and refreshments are served seasonally at the cabana. Adjoining the main pool is a lazy river than you can float or tube down. Raining? Chilly? Getting sunburned? Move things indoors to the indoor pool and hot tub that are open 24 hours! The indoor pool area is a relaxing place to be. 3. 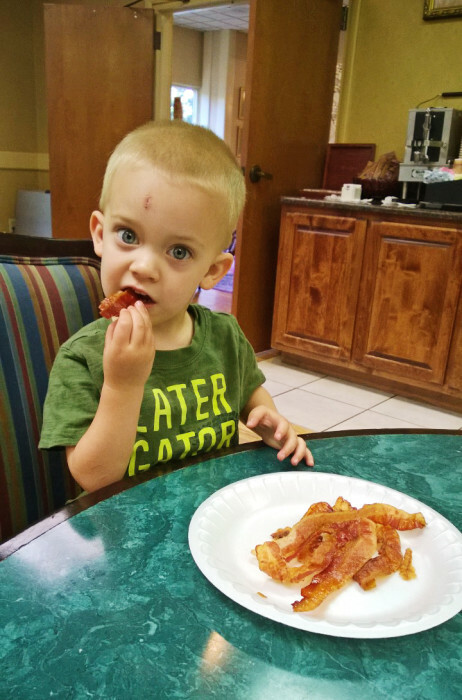 Complimentary Hot Breakfast – Our picky eaters appreciated the homemade cinnamon rolls and bacon. The baconator. Yes, he ate all that. And we let him. It’s vacation! I appreciated not feeling pressure to cook a meal on vacation like I often do when staying in a rental with a full kitchen. 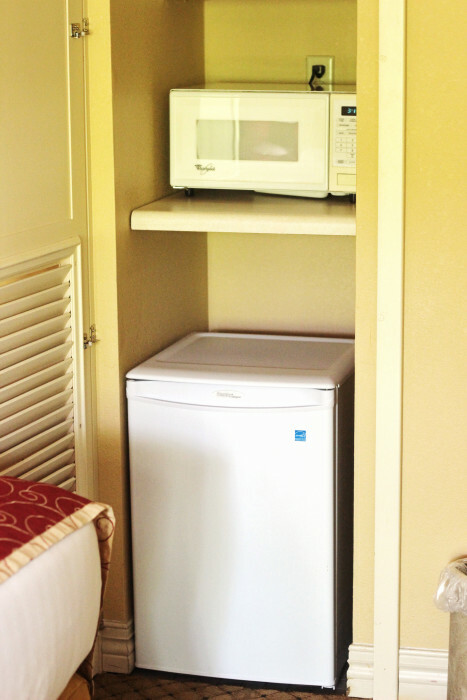 Our Deluxe Queen room at Music Road Hotel had a refrigerator and microwave so heating up leftovers from restaurants was simple and we also were able to bring some snacks and drinks. This was the perfect balance for our Pigeon Forge vacation. Usually I include a list of “cons” or at least mention a few things you need to be aware of before making a decision about a destination, accommodation, or other purchase. But I really can’t think of any caveats! In addition to the features listed above, Music Road Report is clean, affordable, and comfortable. The staff was friendly and helpful. Hubs noticed little details like the hallway walls being covered in a carpet-like material to prevent guests from hearing so much as elevator noise while sleeping. Love that attention to detail! 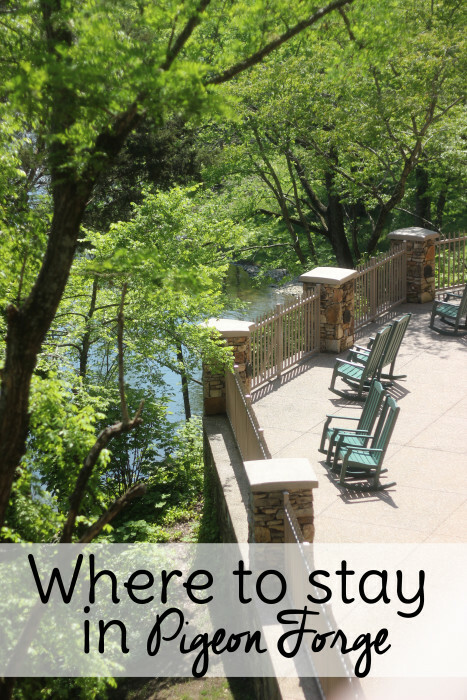 If you need to know where to stay in Pigeon Forge, I definitely recommend Music Road Resort. Check out our review of Country Cascades too if you’re looking for another option. 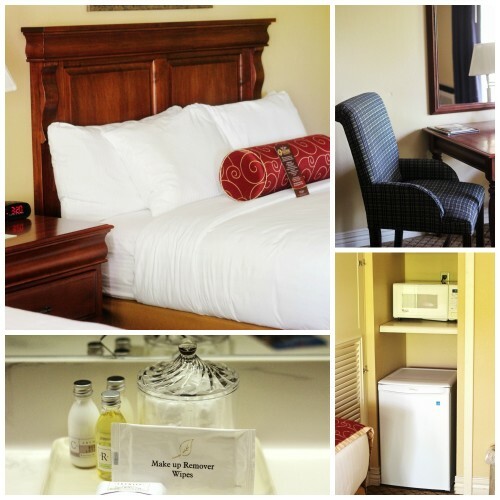 Disclosure: Accommodations were provided by Music Road Resort. All opinions are my own.